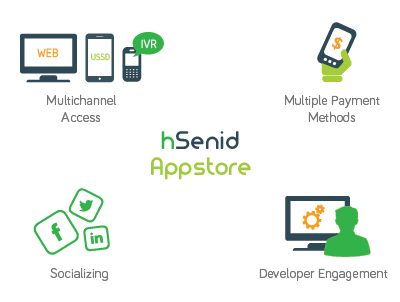 hSenid App Store allows to capture all subscribers due to its multiple user access channels such as WEB, WAP, Android, USSD, and IVR that ensure the reach to different markets. This feature facilitates any subscriber to subscribe or purchase apps, which will in turn make the service providers/developers to have a wider market share. Therefore, published apps can generate more income because developers can reach many subscribers via the hSenid App Store. To learn more login to download the App-Store Datasheet.